Detailed design exploration is faster and less costly than traditional model making. Identify and recognize the capabilities and characteristics of three-dimensional printing technology. Investigate the ways that 3D printing of architectural models can be used to enhance the building design process. Assess the materials and process options for creating models of different sizes and inherent structural strength. Incorporate 3D printing as part of a typical building design process as a stand-alone technique or as a supplement to other digital design processes. Architects have routinely created scale models of building designs to serve multiple purposes. In some cases, they have been simple conceptual models to study the relative sizing or massing of a particular design in a given context. In others, they have been detailed explorations into the relationship of spaces, shapes, and materials. In all cases they help with three dimensional visualization of the proposed designs whether by the design team, the client, the public or all of these. The process of creating such architectural models has varied based on need and capabilities. Historically, simple in house model building has been based on cardboard or wooden representations cut with hand tools. 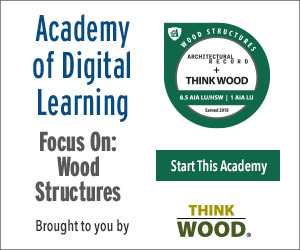 More advanced models have been prepared by companies specializing in creating detailed creations based on architect’s designs that use machine cut wood, plastic, or other materials supplemented with features to represent natural features such as trees, terrain, etc. Now, there is also a new option available to any design team – the use of 3D printers to create architectural models of all types and detail. This conceptually simple but revolutionary technology allows new freedom in the design process to explore building designs in 3 dimensions and in a manner that can be quicker and less expensive than traditional architectural models. Further, 3D printing combines the precision of computerized design simulations with the tangibility of physical scale models.